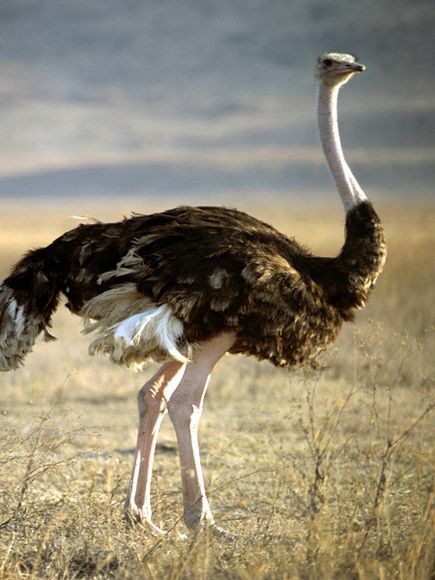 This animal, as you can see, is called an Ostrich. 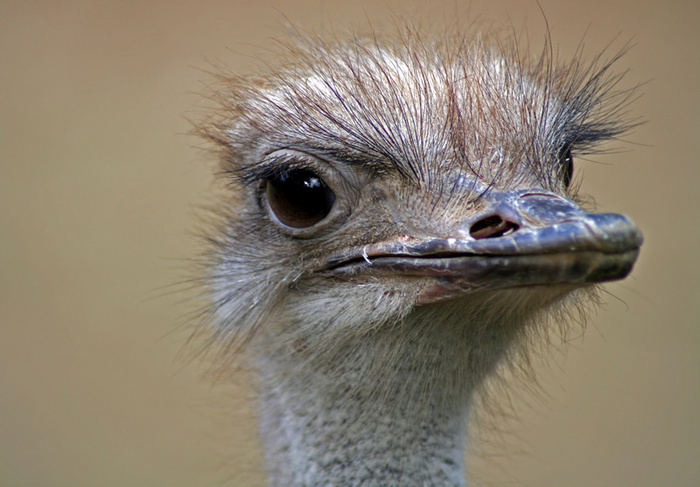 The Ostrich is the world’s biggest and heaviest bird – it is also the fastest sprinter. 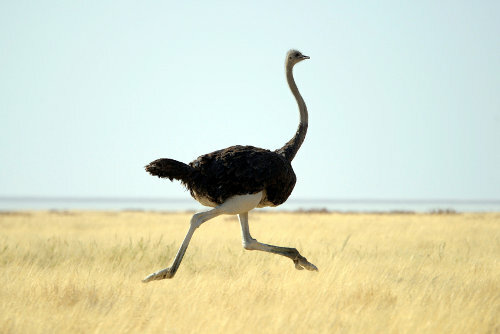 Powerful legs help it to propel itself forward by up to 5 metres (16 feet) at a time, and when it begins to run it can run for about 30 minutes. It feeds on plants (which it gets water from), insects and lizards. It also eats tiny pebbles to help its digestion. Thank you for reading Archie’s info!